Electromagnetically actuated directional valves influence the path of a flowing medium, i.e. block, permit, divide, combine it. 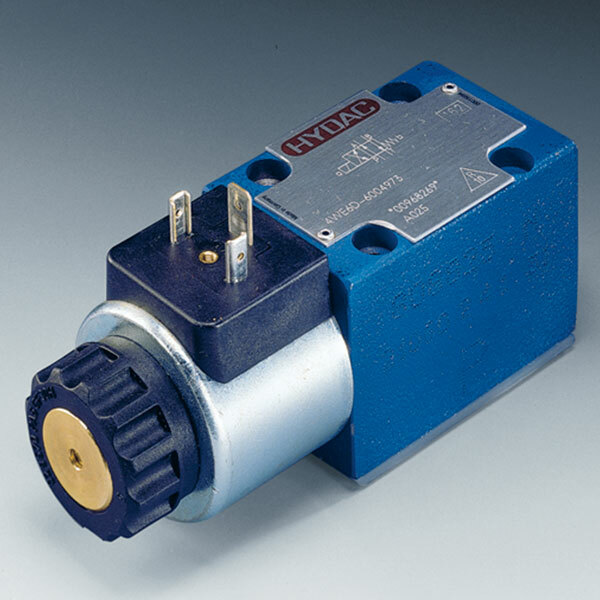 HYDAC offers in this range a 4/2 and 4/3 directional spool valve, plate mounted NW6 and NW10.